Sylvester S (2003) Measuring the learning practice: Diagnosing the culture in general practice. Quality in Primary Care 11. MAMRGP PT (2003) Making the best use of a radiology department: an example of implementation of a referral guideline within a primary care organisation. Quality in Primary Care 11: 53-59. Siriwardena AN, Rashid A, Johnson M, Hazelwood L, Wilburn T (2003) Improving influenza and pneumococcal vaccination uptake in high risk groups in Lincolnshire: a quality improvement report from a large rural county. Quality in Primary Care 11: 19-28. Gerada C, Limber C (2003) General practitioners with special interests: implications for clinical governance. 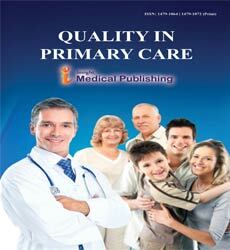 Quality in Primary Care 11.